When traveling along the Amazon, make sure to spend an afternoon fishing for these feisty little guys for a story worth telling back home! Here is everything you need to know about how to fish for piranha- and how to catch one. 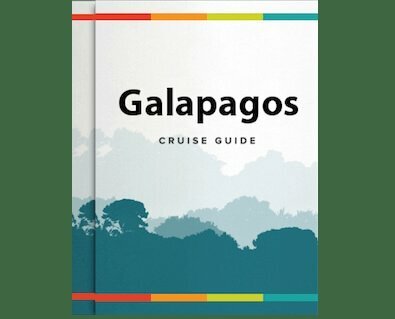 Those with an interest in scuba diving won’t want to pass up the opportunity to scuba dive in the Galapagos, for an experience that will unveil yet another layer of the destination’s feats of nature (and likely top your dive list). Called “the world’s wildest eco race”, Jungle Marathon is a unique opportunity to combine sport and eco tourism as you run through this gorgeous natural environment. Could you handle this marathon? Now, we’re adding something new to the itinerary- guests can add a fishing excursion to their cruise! For an additional cost, you can try your hand fishing the Amazon, and get an experience few have the chance to. Read on for everything included in this new offer, and why you won’t want to miss it! It seems as if Brazil is becoming the home to sports – it has hosted and is soon to host some of the world’s most prestigious sporting events. A tremendously successful 2014 FIFA World Cup will most likely be triumphed by an even grander 2016 Olympic and Paralympic Games. However, one event, not very common to the sporting world is set to take place in the city of Palmas, Brazil in September of 2015. Rainforest Cruises is excited to announce that guests on the Delfin I Amazon riverboat can now enjoy the very popular SUP (Stand Up Paddle Board) activity on the Amazon river in Peru. This water sport originated in Hawaii, but has now become a trending topic across North America. Stand up paddle boarding can be enjoyed by folks of all ages. The original Amazon explorers came with dreams of fame and fortune beyond their wildest dreams in a search for El Dorado, the legendary "Lost City of Gold". How ironic it is then that days ago, one of the world’s richest and most famous men, David Beckham came to the Amazon to find himself.